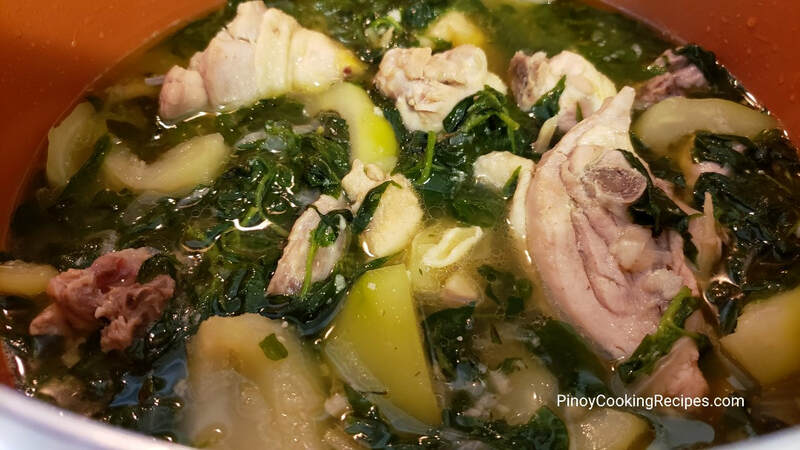 ​*** You can also use spinach leaves, malunggay leaves but I find pepper leaves better as it adds flavor to the soup. In a saucepan, saute the garlic, onion & ginger in cooking oil. Add the chicken cuts and cook for 5 minutes or until the chicken colors lightly. Add the fish sauce. Stir to combine. Pour-in water and bring to a boil. 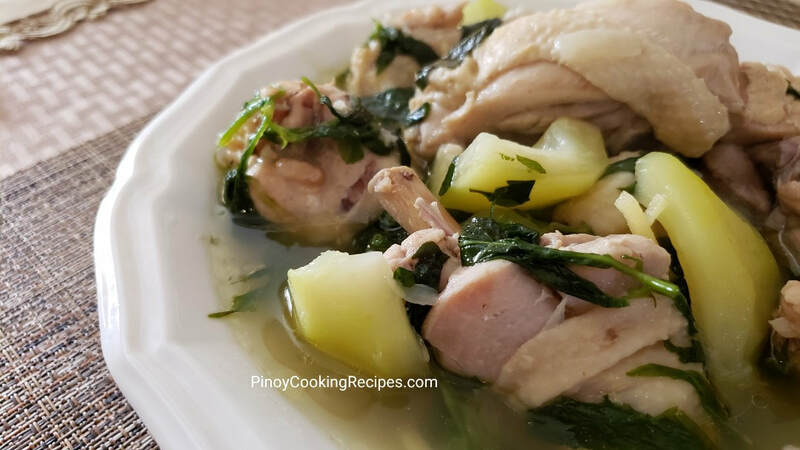 Simmer for about 20-30 minutes or until chicken is done. Add the chicken cube and sayote/chayote. Continue simmering until sayote/chayote is tender. **If using papaya, add green papaya a little earlier since papaya is harder than chayote. Add pepper leaves and add salt to taste. 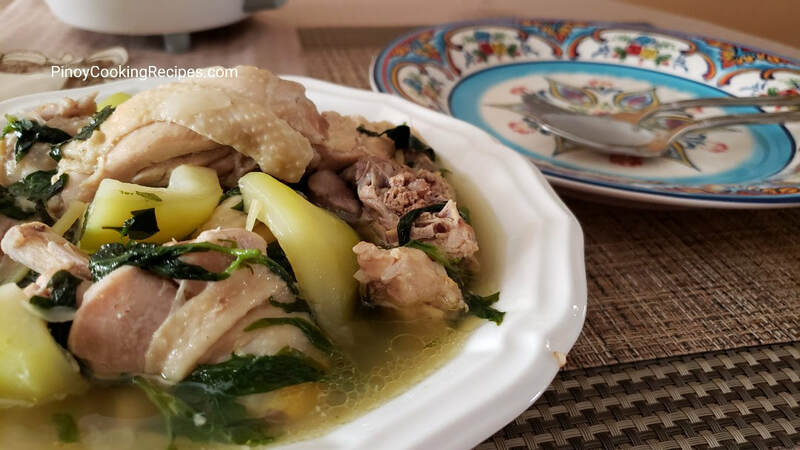 Best served with hot steamed rice.